Paper presented “War in History and Memory: An International Conference on the Seventieth Anniversary of China’s Victory for the War against Japan” (戰爭的歷史與記憶：抗戰勝利七十週年學術討論會), Academia Historica 國史館 (Taipei), 7-9 July 2015 and published in Lü Fangshang (ed. ), War in History and Memory, Taipei, Academia Historica, 2015, 492-568. The author expresses his gratitude for the beautiful translation of the original English text by Mrs. Wang Yijun (Taipei) and to the Academia Storica for funding this translation. 如需更詳細的比較，可參考Christopher Goscha, “Bringing Asia into Focus: Civilians and Combatants in the Line of Fire in China and Indochina,” War & Society 31, no. 2 (August 1, 2012), pp. 87-105. Diana Lary and Stephen R MacKinnon, eds., The Scars of War: The Impact of Warfare on Modern China (Vancouver: UBC Press, 2001); James A Flath and Norman Smith, Beyond suffering recounting war in modern China (Vancouver; Toronto: UBC Press, 2011). 與 Edward McCord, “Cries That Shake the Earth: Military Atrocities and Popular Protests in Warlord China,” Modern China 31, no. 1 (2005), pp. 3-34. 雖然中國也如俄國般飽受戰火侵襲（如1937-1945年間），但卻極少人像歷史學家杰溫特（Jay Winter）對歐洲一戰史那般，針對死亡、創傷與記憶等議題進行著述。在中國方面，可參考 Lary and MacKinnon, The Scars of War. On Russia, see Catherine Merridale, “Death and Memory in Modern Russia,” History Workshop Journal, no. 42 (October 1, 1996), pp. 1-18. 在戰爭對戰鬥員的創傷議題上，可參考 Nigel C. Hunt, Memory, War, and Trauma (Cambridge; New York: Cambridge University Press, 2010). 傑溫特對於歐洲一戰的著作有 Remembering War: The Great War between Memory and History in the Twentieth Century (New Haven: Yale University Press, 2006); Jay M. Winter, Sites of Memory, Sites of Mourning: The Great War in European Cultural History (Cambridge; New York: Cambridge University Press, 1995). 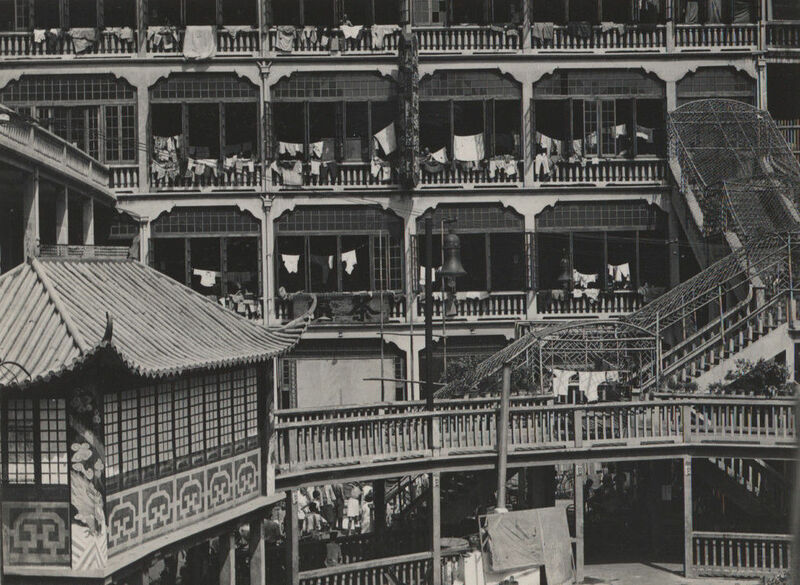 Christian Henriot, “Little Japan in Shanghai: An Insulated Community, 1875-1945,” in New Frontiers: Imperialism’s New Communities in East Asia, 1842-1952, ed. Robert Bickers and Christian Henriot (Manchester University Press, 2000), pp. 146-169. Mark R. Peattie, “Japanese Treaty Port Settlements in China, 1895-1937,” in The Japanese Informal Empire in China, 1895-1937, ed. Peter Duus and Myers (Princeton: Princeton University Pres, 1989), p. 206. 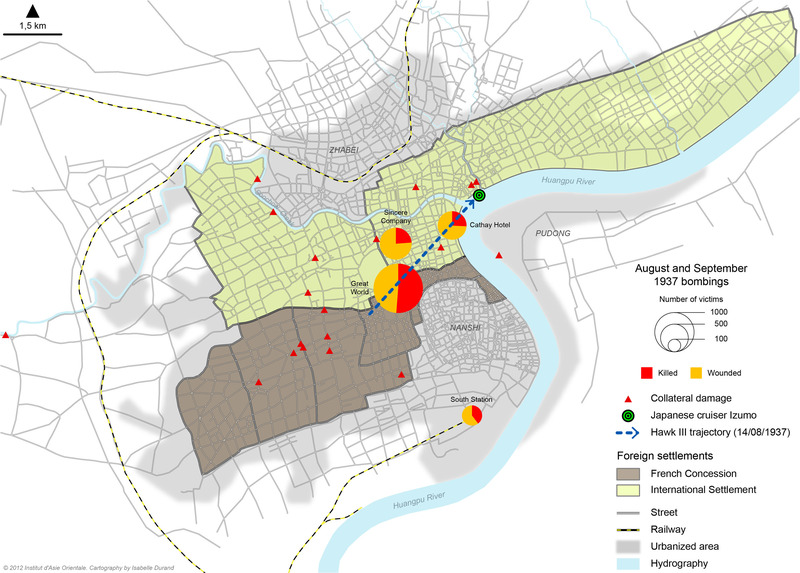 至於英方在戰爭前夕的活動，可參考Julie Rugg, “Managing ‘Civilian Deaths due to War Operations’: Yorkshire Experiences During World War II,” Twentieth Century British History 15, no. 2 (January 1, 2004), pp. 152-173. Bradford A. Lee, Britain and the Sino-Japanese War, 1937-1939: A Study in the Dilemmas of British Decline (Stanford University Press, 1973), p. 36. Tianshi Yang, “Chiang Kai-Shek and the Battles of Shanghai and Nanjing,” in The Battle for China: Essays on the Military History of the Sino-Japanese War of 1937-1945, ed. Mark R Peattie, Edward J Drea, and Hans J Van de Ven (Stanford, Calif.: Stanford University Press, 2011), p. 146. 在西方勢力的外交嘗試上，可以參考see Lee, Britain and the Sino-Japanese War, 1937-1939; Jonathan G. Utley, Going to War with Japan, 1937-1941 (Fordham University Press, 1985). Van de Ven, War and Nationalism, pp. 197-199. Henriot, Christian, Shanghai 1927-1937. Municipal Power, Locality, and Modernization (Berkeley: The University Press of California, 1993), pp. 87-91. North China Herald, 26 July 19 37; 29 July 1937. North China Herald, 9 August 1937; 11 August 1937. North China Herald, 25 August 1937. 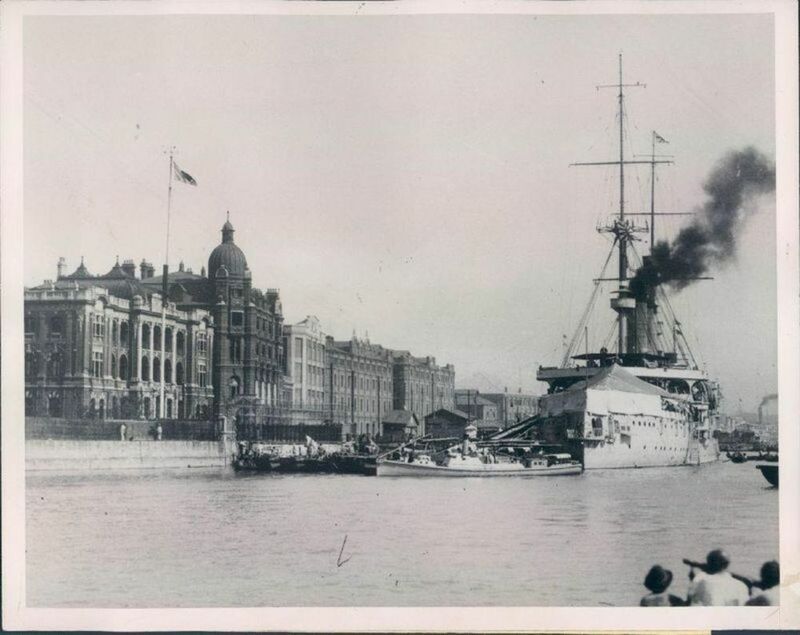 Christian Henriot, “Shanghai and the Experience of War: The Fate of Refugees,” European Journal of East Asian Studies 5, no. 2 (October 1, 2006), pp. 215-245; Christian Henriot, “Wartime Shanghai Refugees: Chaos, Exclusion, and Indignity: Do Images Make up for the Absence of Memory?,” in Images in History: Pictures and Public Space in Modern China, ed. Christian Henriot and Wen-Hsin Yeh (Berkeley: IEAS Research Monographs, 2012), pp. 12-54. Feng, Elites locales et solidarités régionales, pp. 92-93. North China Herald, 25 September 1937. 中國早期的空軍與航空發展可參考 “Chinese aircraft and aviation facilities”, May 1927, AIRS5/865, National Archives (U.K.). Bernd Martin, Die Deutsche Beraterschaft in China 1927-1938 : Militär, Wirtschaft, Aussenpolitik = The German advisory group in China : military, economic, and political issues in Sino-German relations, 1927-1938 (Düsseldorf: Droste, 1981). Donald A. Jordan, China’s Trial by Fire: The Shanghai War of 1932 (University of Michigan Press, 2001), pp. 108, 117. North China Herald [NCH], 1 March 1932. 日本於1932年上海的空軍行動可參考 “The Japanese air force and the invasion of China”, WO106/5566, National Archives (U.K.). Amy Bell, ‘Landscapes of Fear: Wartime London, 1939-1945,’ Journal of British Studies 48, 1 (2009), pp. 153-175. 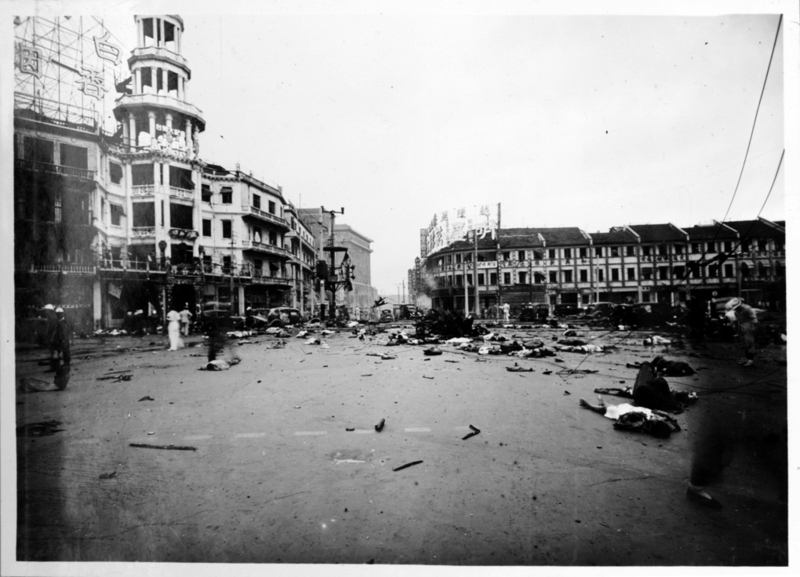 NCH, 2 February 1932 - ‘The bombing of Chapei’ (30 January1932). Jordan, China’s trial, p. 46. This was one of the major lessons drawn from this conflict by a military officer. Juewu Zhang 張覺吾, Song Hu Kangzhan Suo de Zhi Jingyan Yu Jiaoxun 淞滬抗戰所得之經驗與教訓 (Nanjing: Shoudu zhongyang lujunguan xuexiao ⾸首 , 1933), p. 31. Guangqiu Xu, War Wings: The United States and Chinese Military Aviation, 1929-1949 (Greenwood Publishing Group, 2001), p. 65. Yang, “Chiang Kai-Shek and the Battles of Shanghai and Nanjing,” p. 153. Hagiwara Mitsuru, “The Japanese Air Campaigns in China, 1937-1945,” in The Battle for China: Essays on the Military History of the Sino-Japanese War of 1937-1945, ed. 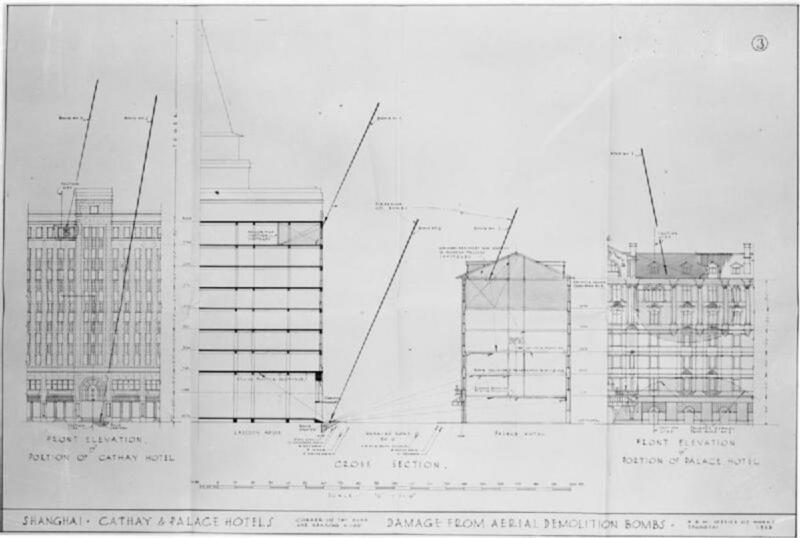 Mark R. Peattie, Edward J. Drea, and Hans J. Van de Ven (Stanford: Stanford University Press, 2011), p. 240. 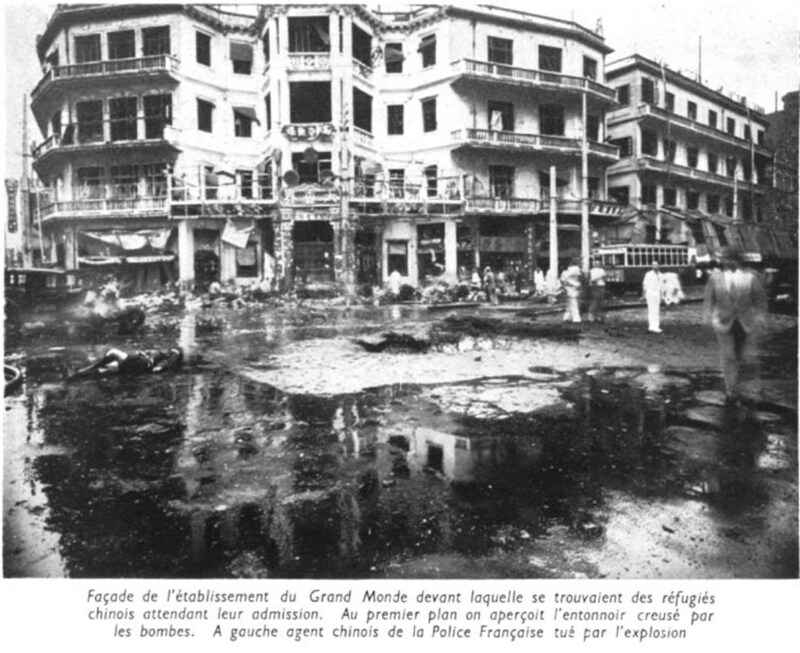 可參考法國警方的圖片報告： Louis Fabre, Rapport sur la catastrophe du 14 août 1937 (Shanghai: Service de police, December 23, 1937), Annexe X, 635PO/A-87, Archives Diplomatiques de Nantes. 詳見圖片報導：North China Herald, 15 September 1937. 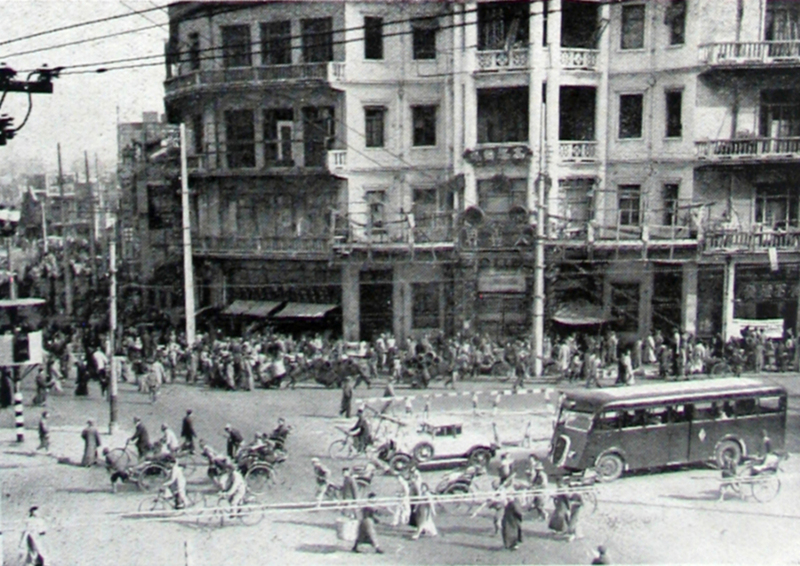 “ Palace and Cathay Hotels, Nanking Road (C) 2,” Works 55/23, National Archives (U.K.). Report (undated ), Work 55/23, National Archives (U.K.). “Virtual Shanghai - Images,” ID 1366. Letter, R. Jobez (chief of French police), 24 May 1938 in Report (undated ), Work 55/23, National Archives (U.K.). Report, police detective, 19 August 1937, U38-2-1153, SMA. Fabre, Rapport sur la catastrophe du 14 août 1937, 12 and Annexe X.
 Mitsuru, “The Japanese Air Campaigns in China, 1937-1945,” p. 244. 即便有相關資料，要計算炸彈的軌跡也需要相當繁複的數學技巧。Crystal Pepper and Chris Wilson, “Aerial bombing techniques”, unpublished paper, 30 March 2009. Terminal Ballistic Data, Vol. 1 Bombing, Office of the Chief of Ordnance (Washington D.C., 1944), p. 10. Fabre, Rapport sur la catastrophe du 14 août 1937, p. 12. Terminal Ballistic Data, Vol. 3 Bombs, Artillery & Mortar Fire & Rockets, Office of the Chief of Ordnance (Washington D.C., 1945), p. 34. 在爆炸後的殘骸中，法租界公董局工務處（Bureau of Public Works）的人員在大世界遊樂場蒐集到了十個火箭碎片與五個鋼鐵碎片。Letter, Bureau des travaux publics-Service de Police, 17 December 1937, U38-4-2476, SMA; “Palace and Cathay Hotels Nanking Road (C) 2,” Works 55/23, National Archives (U.K.). Terminal Ballistic Data, Vol. 1 Bombing, p. 72. Report (undated ), Work 55/23, UK National archives; Fabre, Rapport sur la catastrophe du 14 août 1937, pp. 10-11. North China Daily News [NCDN], 15 August 1937. Fabre, Rapport sur la catastrophe du 14 août 1937, Annexe I. Report, Chef de la Garde, 14 August 1937, U38-2-1153. “Virtual Shanghai - Images,” ID 59, 982, 15139, 27623, 27626. Fabre, Rapport sur la catastrophe du 14 août 1937, pp. 4-5. “Virtual Shanghai - Images,” ID 26627. Ibid., ID 15140, 25218, 25220, 25234, 27615. Rapport annuel 1937, 2. Service de police, U38-2-2090, SMA. “Virtual Shanghai - Images,” ID 25760, 27727. Ibid., ID 27736, 27737, 27614, 27622. Report, Bureau de l’hygiène publique et de l’assistance, 16 August 1937, U38-5-1667, SMA. Fabre, Rapport sur la catastrophe du 14 août 1937, Annexe VI. “Virtual Shanghai - Images,” ID 15142. Report, Bureau de l’hygiène publique et de l’assistance,16 August 1937, U38-5-1667, SMA. Fabre, Rapport sur la catastrophe du 14 août 1937, Annexe IV. Rapport annuel 1937, 4. Service de police, U38-2-2090, SMA. Report, Bureau des travaux publics, 16 August 1937, U38-4-2476, SMA. Report, Service de police, 17 August 1937, U38-5-1667, SMA. Fabre, Rapport sur la catastrophe du 14 août 1937, Annexe IX. Ibid., Annexe V & Annexe VII. Shenbao [SB], 16 August 1937 [355:280]. “Virtual Shanghai - Images,” ID 25222. Minutes, Vice-consul Marcel Chaloin, 15 August 1937, U38-5-1667, SMA; Fabre, Rapport sur la catastrophe du 14 août 1937, Annexe II. “Virtual Shanghai - Images,” ID 2409. Letter, foreign resident, 17 August 1937; Letter PHD-SPBC, 17 August 1937, U1-16-2457, SMA. “Virtual Shanghai - Images,” ID 25221. Rugg, “Managing ‘Civilian Deaths due to War Operations,’” pp. 163-168. Service memo no. 39, 19 August 1937, Bureau de l’hygiène publique et de l’assistance, U38-5-1667. China Weekly Review [CWRï, 21 August 1937, 423. NCH, 8 septembre 1937, 380 ; Lettre, Vice-amiral Le Bigot-Consul de France, 17 août 1937, 635PO/A/84, ADN. NCDN, 17 August 1937; CWR, 21 August 1937, 425. 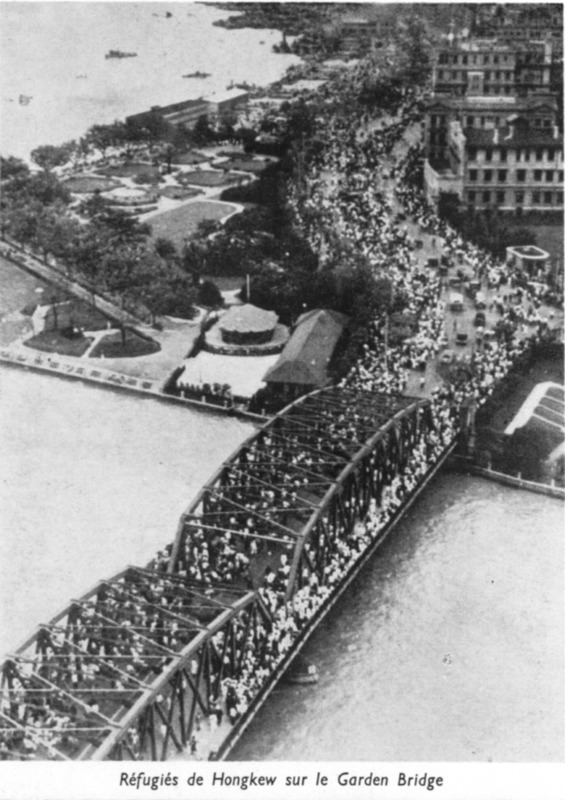 《中央日報》, 15 August 1937; 24 August 1937. SB, 15 August 1937; 16 August 1937; Fabre, Rapport sur la catastrophe du 14 août 1937, pp. 14-15. 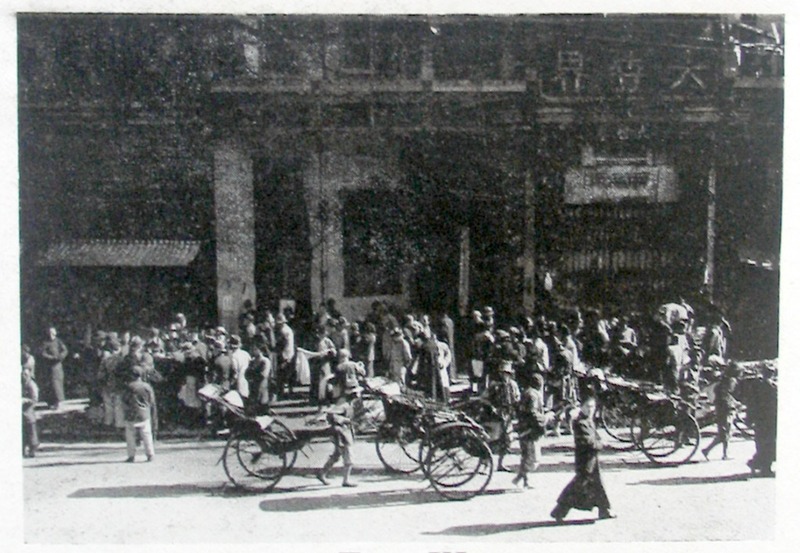 Zhongyang ribao, 18 August 1937. CWR, 21 August 1937, p. 423. The China Press, 9 September 1937. “Virtual Shanghai - Images,” ID 15147, 15149, 15185, 25209, 25226, 25646. Rapport annuel 1937, 7. Service de police, U38-2-2090, SMA. 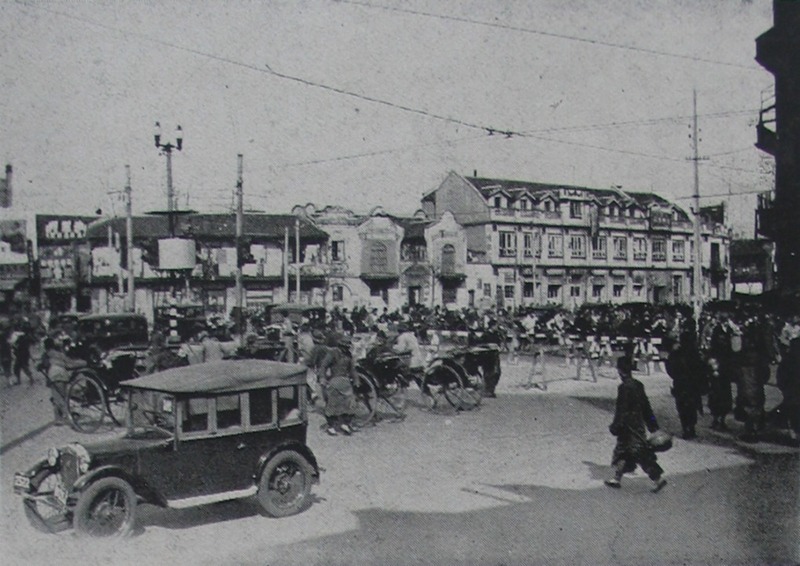 NCH, 16 August 1937; 30 August 1937; “Virtual Shanghai - Images,” ID 27804, 27807. CWR, 21 August 1937, 442; 25 August 1937 ; 4 September 1937. “Virtual Shanghai - Images,” ID 27793. CWR, 28 August 1937, 442. “Virtual Shanghai - Images,” ID 15159. NCDN, 24 August 1937; Ibid., IS 15161. “Virtual Shanghai - Images,” ID 27633, 27634, 27790. 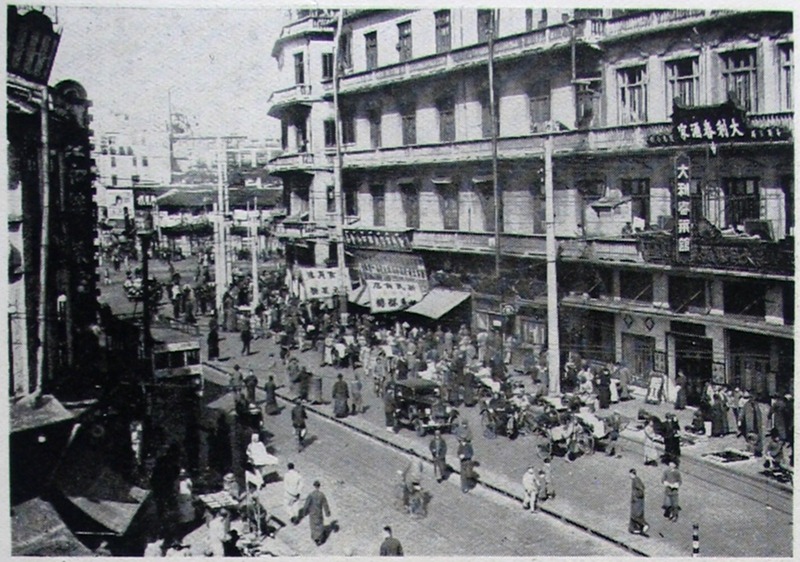 “Nanking Road and Chekiang Road – Glancing hit on façade of Sincere building (C) 1,” Works 55/23, National Archives (U.K.). SB, 24 August 1937 [355:324]. CWR, 4 September 1937, 3. Work 55/23, National Archives (U.K.). “Virtual Shanghai - Images,” ID 27821. “Virtual Shanghai - Images,” ID 27818. John Faber, Great News Photos and the Stories behind Them (New York: Courier Dover Publications, 1978), p. 74. Life Magazine, 4 October 1937. 關於這幅著名影像的討論，可參考Paul French, Through the Looking Glass: China’s Foreign Journalists from Opium Wars to Mao (Hong Kong University Press, 2009), p. 192. SB, 16 August 1937 (355:280). 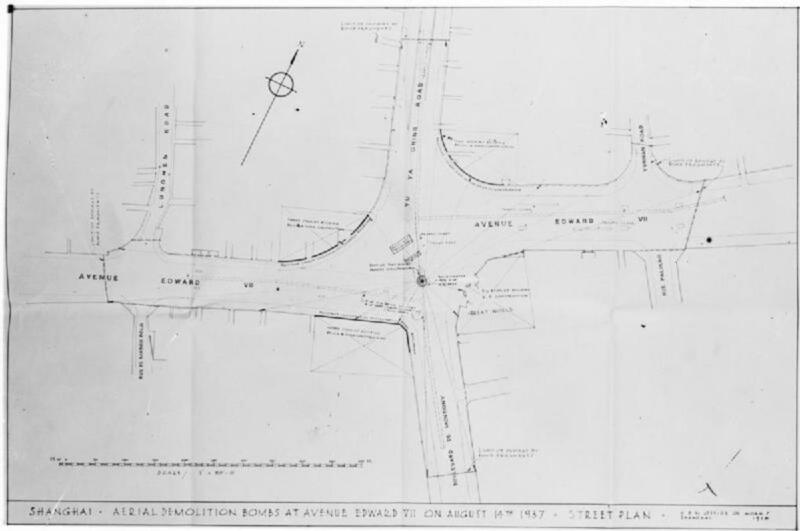 SB, 30 August 1937 [355:357]. 中國政府之後再次宣布有七百人死亡，但根據其他獨立的媒體消息，這個數據應該不太可能。《中央日報》，1937年8月29日；CWR, 2 October 1937, p. 92. Shanghai Evening News, 30 August 1937. CWR, 18 September 1937, 42. CWR, 18 September 1937, 43. CWR, 25 September 1937, 56. CWR, 9 October 1937, 101. CWR, 16 October 1937, 129. CWR, 30 October 1937, 186. CWR, 11 September 1937, 25. The China Press, 6 September 1937. CWR, 2 October 1937, 92. Christian Henriot, “Beyond Glory: Civilians, Combatants, and Society During the Battle of Shanghai,” War & Society 32, no. 2 (2012), pp. 106-135.